I really love DIY gifts, especially when done well. I think there is something a bit more soulful when the gift is crafted rather than pulled off a shelf at the last minute. I’ve done DIY gifts for years but this will be the first year that I’m sharing! 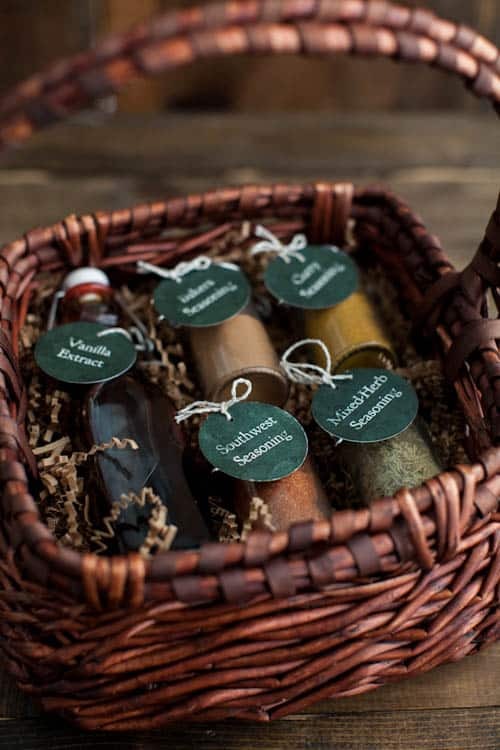 After I did a spice blend/recipes for our wedding favor, I knew Christmas gifts would be next. 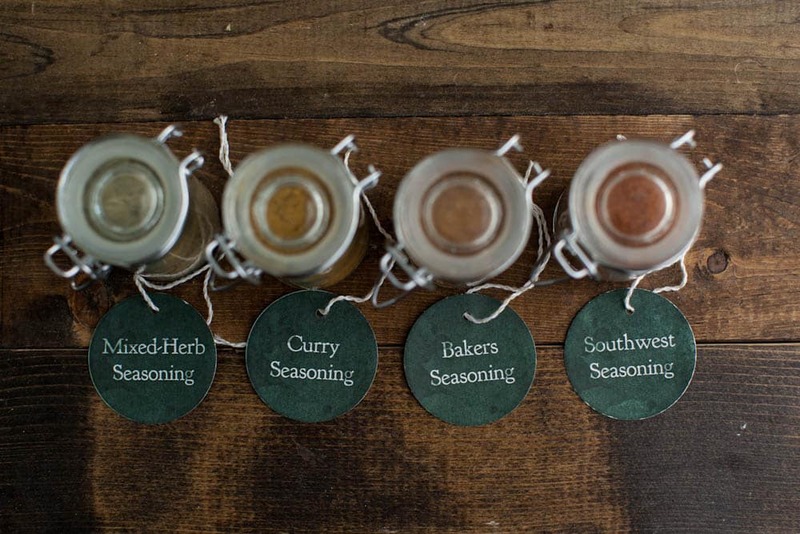 I love spice blends. There is so much you can do and can completely customize the flavors. 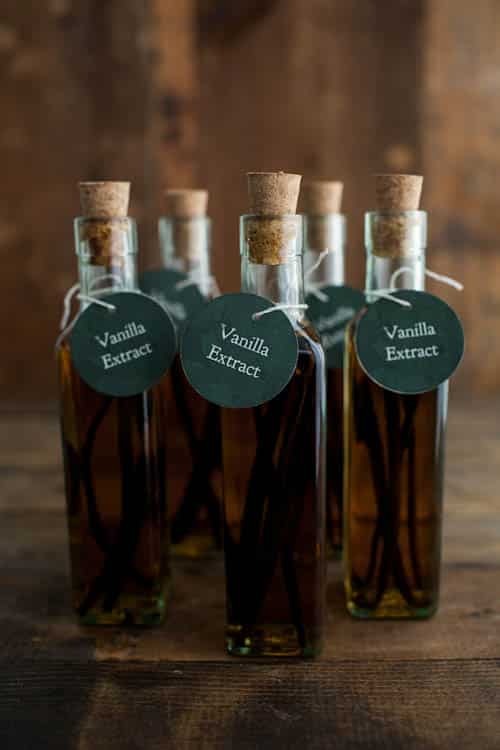 And of course, homemade vanilla extract is so easy and nice that I had to include it in the mix! 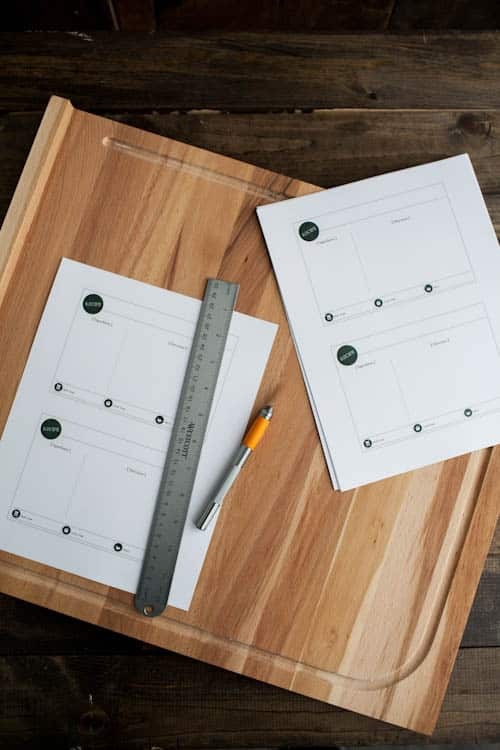 So today, I’m giving you the whole DIY complete with homemade spice blends, recipes that go well with the spice blends, and free printable tags and recipe cards. I’m pretty excited about this and I think it makes such lovely homemade, diy gift! You can use really any jar you like but I recommend looking for 3 ounce spice jars for the blends and roughly 8 ounce bottles for the vanilla. I used these spice bottles and these 8″ bottles. I also like these jars or these jars. Here’s the amazing thing: you go to stores and spices seem to be slightly expensive. However, order in bulk and you can get pounds of spices for a good price. I highly suggest getting the spices from Frontier- great organic, well sourced spices. 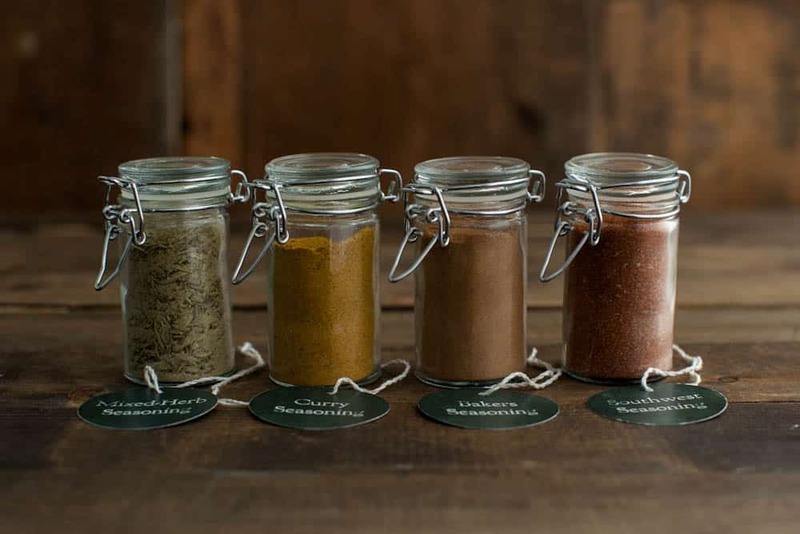 If you want to make smaller batches, go to a local health food store or co-op where you can buy spices in bulk. While the recipes below will provide roughly enough to fill 6 jars, you can decrease or increase the amount by the jars you would like to make- just keep everything the same. 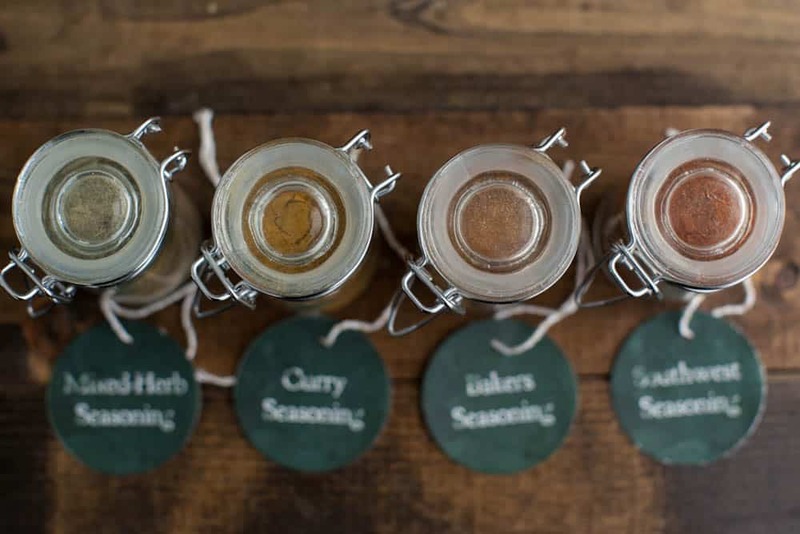 Also, I tend to not include salt in my spice blends but always make a note to add salt during the cooking process. To make the vanilla, I used 3 vanilla beans per jar with good bourbon. Simply split the vanilla beans in half, place in the jar, and cover with the bourbon. Let sit for at least 2 months but longer is preferable. I make a note with a jars with a “you can start using” date. 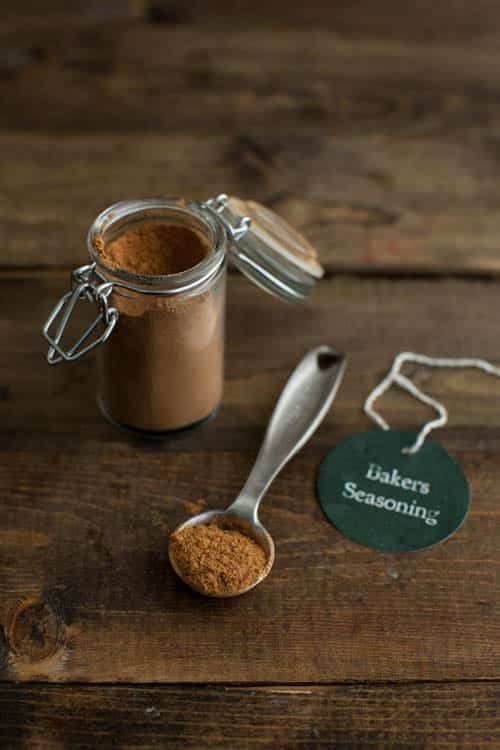 If you want, you can include a few recipes to make with these spices. 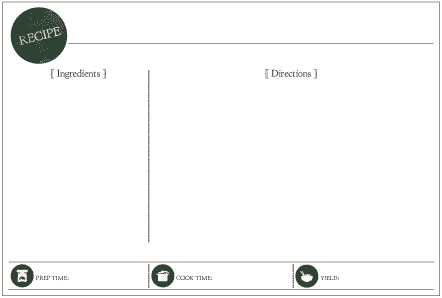 Below are a few of my recipes that you can sub in the spice mix for the spices that are listed in the recipe. This is put together oh so lovely! Great gift idea! You amaze me. 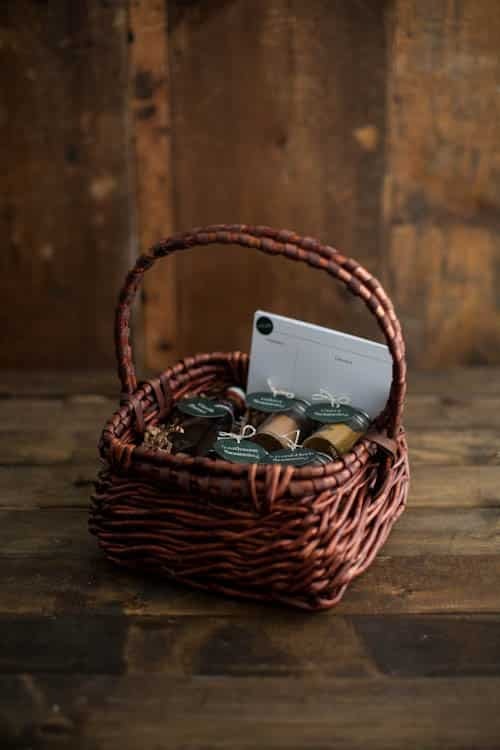 Who wouldn’t love getting a basket like this one! This is absolutely lovely. What a great idea! 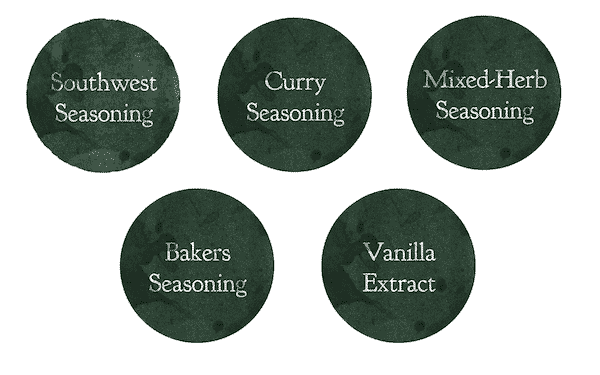 This is great, …everything: the blends, the labels, combining them with a recipe! Thanks! Beautiful! 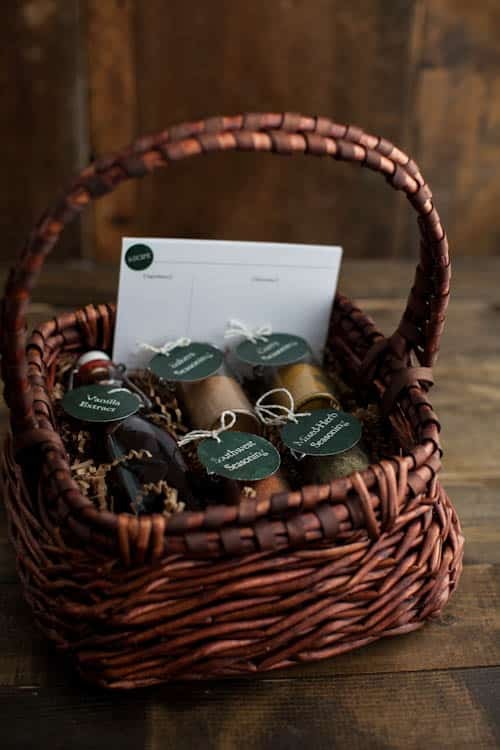 I love DIY gifts as well, and this idea is fantastic! That’s the cutest spice gift set I’ve ever seen. 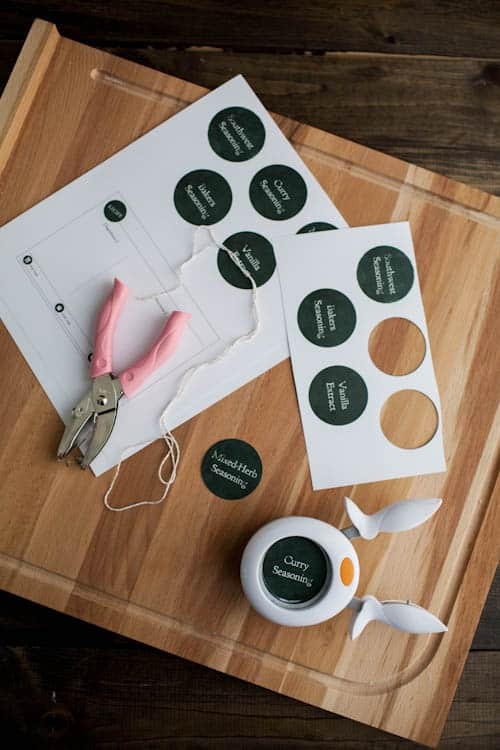 you’re absolutely right – few things top a well-made and thoughtful DIY gift. i’ve got a couple people in mind who would love this. thanks for sharing! Okay! So I am seeing this trend among different blogs about these homemeade gifts and I must say I love it! I will start out slow with some homemade vanilla extract BUT I want to eventually work my way up!! this is fabulous!! hope some of these DIY gifts find their way back home????? Erin, what a terrific post. Such talent and so inspiring! This is SUCH a cute idea! I love it!!!! Love this! 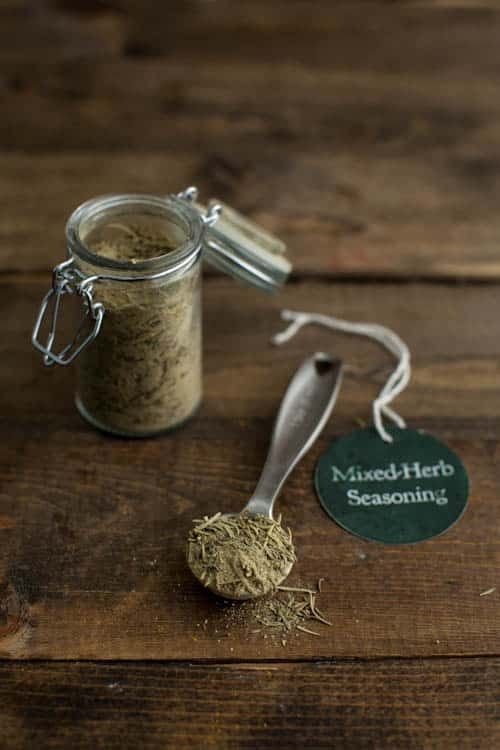 Quick question though–when replacing the spices in the recipe, much do you use? 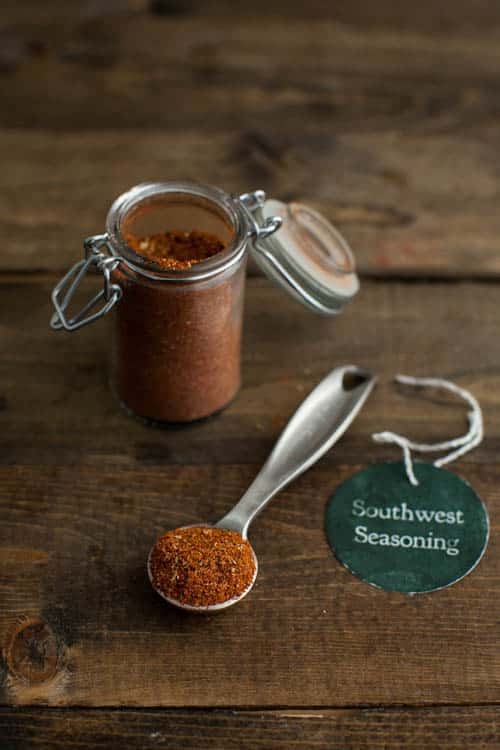 Like with the Stuffed Hatch Chiles, would you replace an equal amount of blend for each spice listed (paprika, oregano, garlic, cumin, chipotle= 5 1/4 teaspoons)? That’s how I normally figure it out but if it seems like a lot (common sense is a good judge here), reduce it slightly. I’d say for the stuffed chiles, 4-5 teaspoons of the seasoning would be good! These are so cute- what a great idea. I think next year I’m going to make taco seasoning for all my American ex-pat friends since we can’t buy it here in Switzerland! What a great gift! Thank you so much for sharing. Yum! 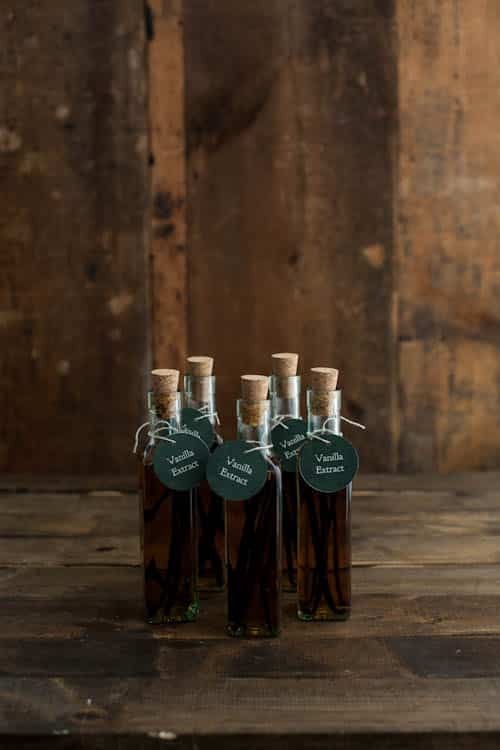 I may have overlooked it, but where can i find the jars with corks that you show your vanilla extract in? 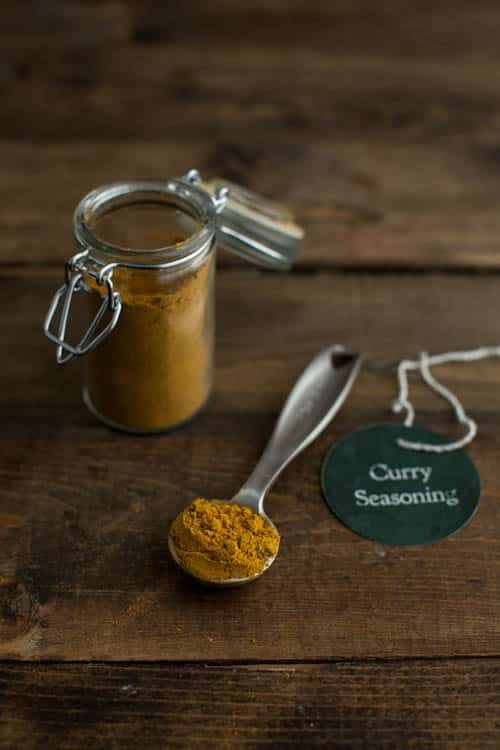 These are great spices and can be used in different types of cuisines – from Indian to Italian to American. Beautifully presented and packaging.